We increase the business efficiency with our exclusive windows application development. Windows apps are built by the Microsoft Foundation Classes (MFC), WIMP (windows, icon, menu, and pointer) GUI, Event-driven, Multi-processing OOP, Client-Server, Component-based, Distributed Computing etc., even though these applications are not supported in MS Windows. We are constantly working on solutions for developing windows applications that helps our client’s to automate workflow and accentuates collaboration. Our professional team of programming experts develop these bespoke windows application to help our client collaborate, co-ordinate and construct effective businesses to meet the daily needs of their business practices. The Application Programming Interface (API) provides in the construction of the initial building blocks, which are used by applications written for Windows. These include Windows server 2003, Windows XP, Windows 2000, Windows NT, Windows Millennium Edition, Windows 98 as well as Windows 95. This Application Programming Interface or the API is extensively used in the programming of all windows based apps. 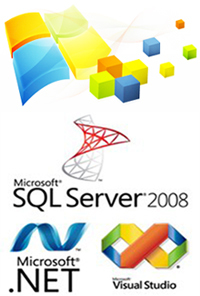 We ensure that these customized and exclusive functions are generally supported on 32-bit and 64-bit Windows. With our experienced team of professionals in Windows Internal and Windows API and with their in-depth knowledge, we are able to provide our clients with the most amazing of the Windows Application Development. We have the exclusive knowledge and the appropriate experience to work and create these exclusive and customized applications on windows and therefore power the Windows to work efficiently for you. We are highly equipped and extremely knowledgeable to build efficient state-of-the-art Software Application on the Windows, this is built using the programming languages and tools that are best suited to each project's needs. Our programmers are highly skilled and efficient in a variety of programming language like .net, Mysql and Java among others therefore has to ability to choose any of these programming languages to create the most efficient Windows Application to accordance to our client’s demands and usage functionality. With such limitless possibilities, we can create exclusive and exquisite application that can be used to accentuate seamless collaborations between your Website, your staff and your clients along with other intranet software platforms that you might be using at any juncture of your working processes. We boost of a highly experienced skill-set and an efficient team of enterprising professionals well-versed in Microsoft .Net Framework, .NET 3.5, .NET 2.0, ASP.NET, XML, AJAX, Mysql, HTML, CSS, XML and Web Services. We also offer specialised and exclusive services in the following categories of Windows Application Development; these categories include web application development, web portal development, ecommerce services, while facilitating ERP and CRM software development as well as hire our efficient skill-set for any services and maintenance of these exclusive applications. Our efficient skill-set of the exquisite team of professional developers and programming staff ensure the most outstanding and high quality efficient outcome. This technical efficiency of our team is acknowledged by our clients all over the world. We realise that to create such exclusive and exquisite applications for Windows, it definitely takes more than just a solid knowledge of Windows internals and programming languages to ensure the outstanding quality that one receives in Panacia Softwares. Our efficiency also lies in the porting of Legacy applications to .NET based application, which is extremely user-friendly for our exclusive clients. We also develop legacy applications using a variety of technologies as the programming base, object models along with operating systems and programming languages. Therefore when you need to build the most exclusive windows application development, we provide the most extra-ordinary platform with the most outstanding skill-set of our experts group of professionals.